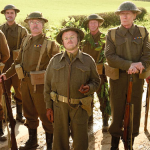 While we are just weeks away from the big screen film release of Dad’s Army on 5 February, starring Toby Jones, Bill Nighy and Michael Gambon, a ‘lost’ episode of the iconic British comedy series from the creative minds of Jimmy Perry and David Croft has been found and is being given a bit of a 21st century facelift. 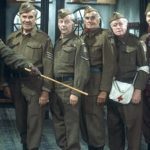 The missing episode from the series, which ran on BBC1 from 1968-1977, was titled “A Stripe For Frazer”, and it aired only once in 1969 before it ‘went missing’ along with two other episodes. 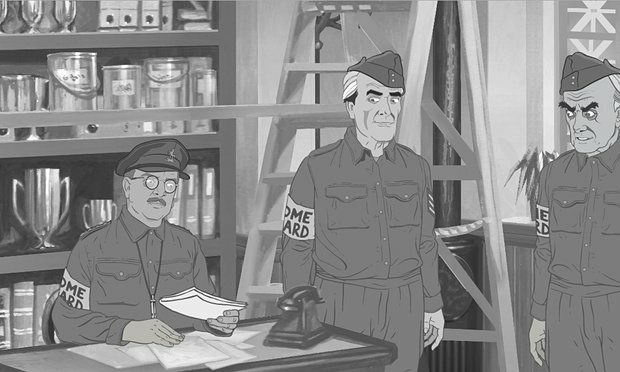 The BBC recently discovered an audio only recording of the program and has, subsequently, created an animated version of the story, which will be made available on its digital service, BBC Store, beginning 4th February. 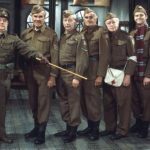 In ” A Stripe for Frazer”, Captain Mainwaring makes Frazer a lance corporal, but soon comes to regret it as Frazer vies with Lance Corporal Jones for Mainwaring’s favor. 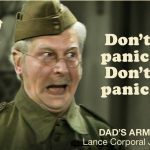 And, finally, just in case you are needing a reason to put a big red reminder circle around Friday, 5 February, this is it! 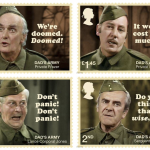 Dad’s Army creator, Jimmy Perry, dies at 93. 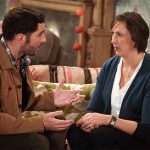 Could Miranda possibly “what we call”…return?